WORCESTER — Citing the renaissance of downtown Worcester, national engineering, planning, and design consulting firm VHB has signed a 5½-year lease to occupy 8,700 square feet of Class A office space at Mercantile Center, moving from current offices in Union Station. The firm will occupy the fifth floor of 120 Front St. beginning in late September. “VHB’s selection of Mercantile Center underscores the tremendous viability of the new downtown and its strong appeal to businesses of all kinds seeking a central location in walking distance to a vibrant urban neighborhood,” Mr. Norton continued. 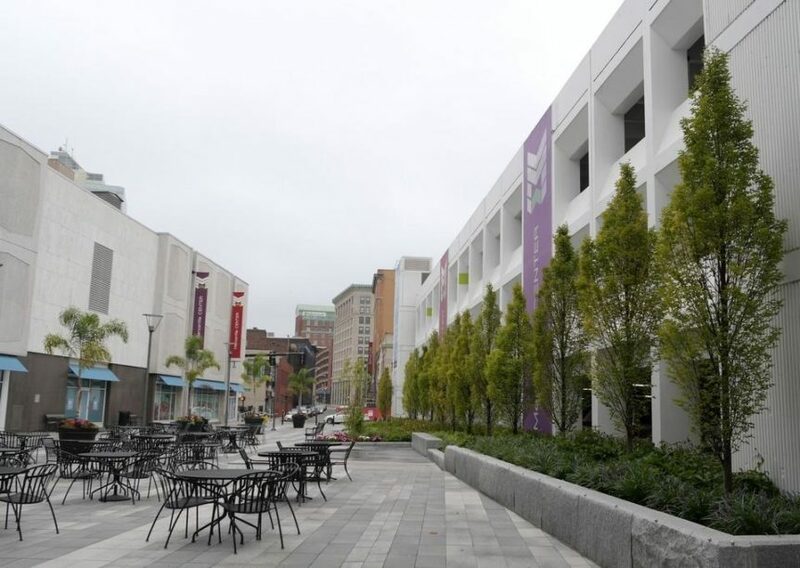 Mercantile Center is a joint venture of Franklin Realty Advisors and Washington Capital Management in downtown Worcester. The project encompasses the redevelopment of two office towers at 100 and 120 Front St., mixed-use space at 90 and 110 Front St., and a 1,647-space parking garage. The non-parking properties total 646,000 square feet of space, including approximately 100,000 square feet of vacant space for redevelopment for office and retail use, according to the press release. In an interview Wednesday, Mr. Norton said that he is in discussions with “a couple of different” retail operations about becoming tenants at Mercantile Center, but was not at the point where an announcement could be made. He said that some office space remains at 120 and 100 Front Street as well, but that nearly 60,000 square feet of office space in the development has been leased in the last six months. He said the office space for VHB will be completely renovated. VHB nationally employs 1,350 people, including engineers, scientists, planners, and designers and has clients in the transportation, real estate, institutional, and energy industries, as well as in federal and local governments, according to the press release. The firm works to improve mobility, enhance communities and economic vitality, and balance development and infrastructure needs with environmental stewardship. Headquartered in Watertown, VHB has 450 employees in Massachusetts with locations in Hyannis, Boston, and Springfield, in addition to Worcester. The firm will employ 30 people in its new office at Mercantile Center.